Among the famous personalities from Keszthely we also should mention Dávid Schwarz. Throughout his life he was always interested in the airship. Numerous technical books he has read on the subject, and as a self-taught person, he designed a plan for a dirigible airship. Even the War Ministry in Vienna showed keen interest in this plan, but they relied on a lack of money and so could not buy the invention. However, Schwarz got a chance to let build the airship in St. Petersburg. His attempt in 1894 failed. The next experiment was conducted in Berlin-Tempelhof, but he could not be there, at 47 he died. His widow, Melanie Kaufmann continued the work. In the attempt in Berlin also the Graf Zeppelin was present. He stated that Schwarz would have solved the problem of controllability of the airship. How then continued, is known. Additional contribution: the widow and the three surviving children did not receive a share, earnings or a pension. 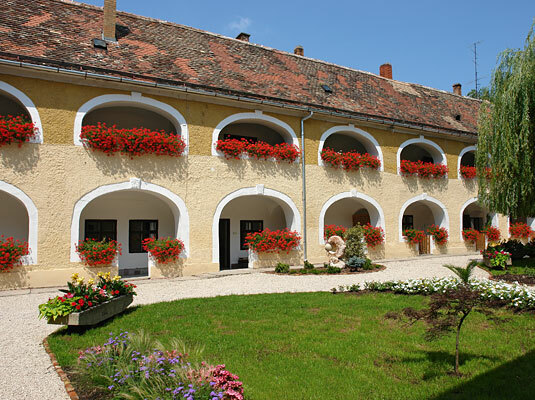 Members of the family Pethő were from 1427 landlords of Keszthely. This house originally belonged to the family. 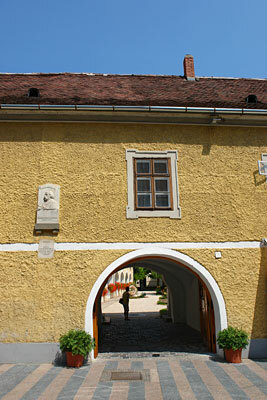 Kristóf Festetics acquired the house in 1739 – including land owned by the Pethő family. His Baroque features – stone-framed windows and doors made of iron, ground floor and storey with arcades – are remarkable. The house – and the synagogue in its courtyard – is to be found in the pedestrian zone. In the 1800s the family Goldmark lived here. They served in the Festetics’s. Károly Goldmark, a famous hungarian componist was born here, on the 18th of May, 1830. Castrum CampingKeszthelyMóra Ferenc utca 48. Hotel OvitKeszthelyAlsópáhoki út Balatontourist Cam…KeszthelyEntz Géza sétány 1. Nádas ApartmanKeszthelyNádas köz 2. Hotel KristályKeszthelyLovassy Sándor utca 20. Sebestyén VendégházKeszthelyFestetics út 40. (hu) Palmetta Apar…KeszthelyBercsényi Miklós u. 59. (hu) Marton ApartmanKeszthelyKeszthely, Pázmány Péter u. 6. Wellness Hotel Kak…KeszthelyPázmány Péter utca 14. Admiral Hotel***- …KeszthelyPázmány Péter utca 1. Toldi68 Apartmenth…KeszthelyToldi u.68 Viola VendégházKeszthelyLovassy Sándor utca 11. Erika PanzióKeszthelyAdy Endre utca 16. Barbara Wellness P…KeszthelyZámor utca 2. Villa SissyKeszthelyErzsébet királyné utca 70. Andrea Panzió Kesz…KeszthelyPál utca 3. Silatti Panzió-Apa…KeszthelyRákóczi utca 72. Tokaji PanzióKeszthelyApát utca 21. (hu) Keszthelyi VS…KeszthelyMártírok útja 1. (hu) Kati Apartman…KeszthelyPipáskert u. 8.